A few Monster Hunter art books have been published prior to this, namely Monster Hunter Illustrations, Monster Hunter Hunting Card Art Book and Monster Hunter CG Artworks. 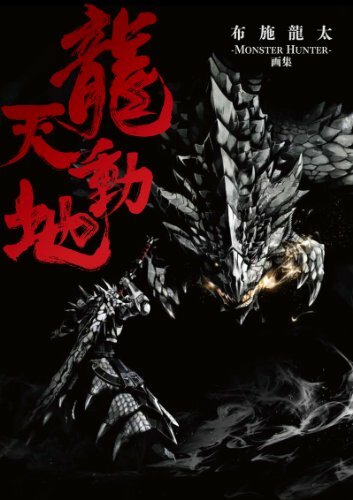 This latest book was published in 2011, simply titled Monster Hunter Artbook. It collects development art for several Monster Hunter titles. As someone who doesn't really follow the books on the game, it's a challenge to figure out what they are. モンスターハンター EPISODE novel - 5 Vol. Except for the last, EPISODE, which is a manga series, the rest should be the novelization of the game. The art included are illustrations, snippets of manga and towards the back character designs and notes. The snippets of manga are for 疾風の翼. For the artistic style, it's all Japanese manga style. So those who like Japanese manga style or the game can consider getting this book.